The Z88 comes with 32K RAM 'built-in' memory. This is just enough to try out the examples given in the manual before you run out. If you want to use your Z88, you need more RAM because it uses RAM as working memory and for storing files. You should use other devices to back your files up, but the first need to be stored in RAM otherwise you are unable to get them to the other devices. RAM should be added (in slot 1 (or slot 2 if using OZ 4.x)) initially. This makes the Z88 an 'expanded' machine, the preferred configuration. The Z88 uses some of the extra RAM for itself internally for Applications and BBC BASIC. You will quickly discover that you need more RAM than you think. 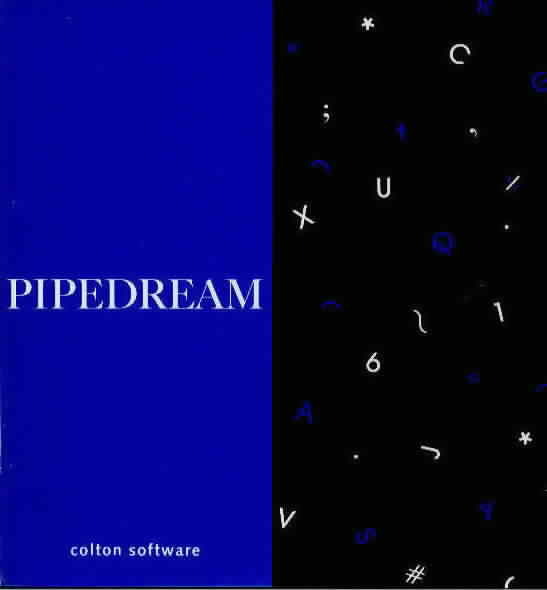 The following example assumes using a 20K document in Pipedream with a 128K RAM Pack. Remember If you have not got enough space to save the file to RAM, you will not be able to save it to the EPROM Pack or transfer the file to another computer. Note If you put your RAM in slot 2 then the Z88 will not be an expanded machine. Now that you have enough RAM, all you need to decide is how big the EPROM should be to save your life's work to before the Z88 loses it due to the battery going flat or the Z88 crashes. Unlike the RAM where you can delete individual files to gain extra space, all the files on the EPROM are deleted when the device is formatted. So you need enough RAM to store these files whilst you do that. I have used a 1M or 512K RAM pack. I have never run out of RAM with the 1M! EPROM are used for file storage or as ROMs for applications and are like disks on a PC or Mac.. Unlike RAM packs they retain the information when the batteries go flat. Save your important files on a Flash EPROM or EPROM pack. Once you have saved a file onto the pack, it will remain there allowing the pack to be removed without losing any data. There were 3 sizes, 32K, 128K and 256K. We do not have any 32K EPROMS left and only have limited supplies of the other sizes. They have been superseded due to the arrival of the Flash EPROM! Differences between a disk and an EPROM pack. Individual files can not be physically deleted by overwriting them. Instead the 'old' file is marked and the new file is saved at the beginning of the cleared area. This means that if you saved a file that is 2K long three times, 6K will be used. Underside of EPROM showing window to allow UV light to erase the pack. or by using the the command (in the Flash EPROM). By using two packs, files that need to be kept can be copied to RAM and then onto another EPROM pack before formatting the full EPROM. EPROMs and Flash EPROMs can be reused again after formatting. Flash cards are used for file storage or as ROMs for applications and are like disks on a PC or Mac. They were first used from 14th September 1997 until 27th December 2004 and could only be written to when in slot 3. They have been replaced using the AMD chip. There are issues using this card with OZ 4.x Please do not update this card with the OZ image until it is found. 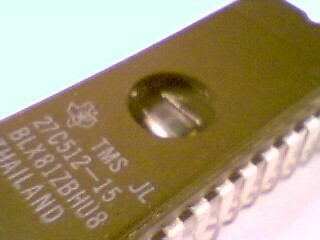 The Z88 is only able to write or read to or from an EPROM pack. When you save the same file twice, the Z88 only marks the old file as being deleted, it does not reclaim the space back. The EPROM Eraser allows you to clear the EPROM, to remove all the files, so that it can be used again. The EPROM pack has a hole to expose the window on the EPROM device inside the pack to allow the light from the eraser to erase the EPROM. The EPROM pack is pushed right into the eraser to turn on the light and erase the pack. EPROM Erasers formats EPROMs allowing them to be used again. Unlike disks, individual files cannot be erased. Mains operated (240v AC) it has a 20 minute timer to erase the EPROM pack whatever the size. 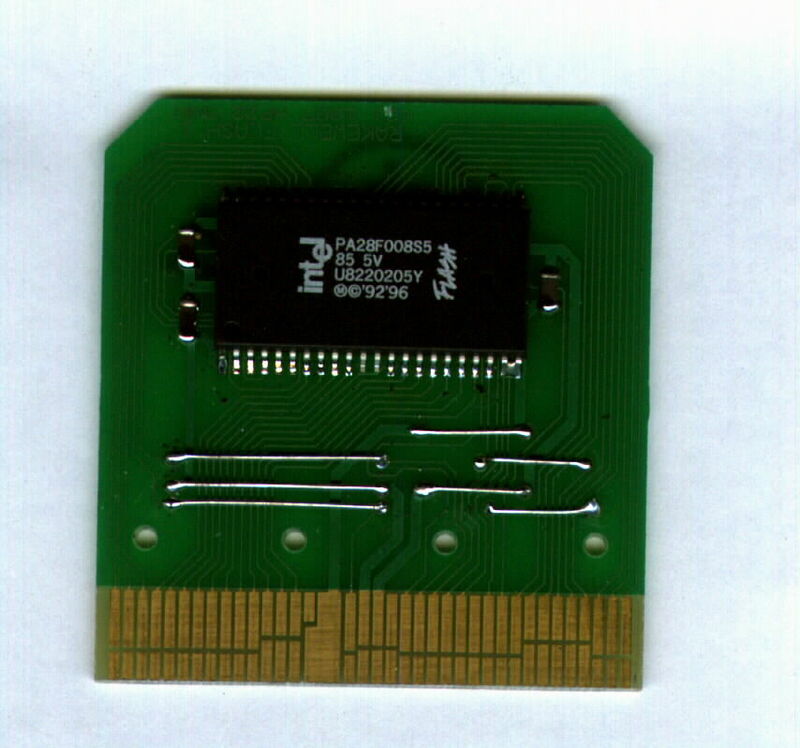 We have reduced the price of this item due to the arrival of the Flash EPROM! You can use this to erase ordinary EPROMs provided you make a carrier 2" wide to place the EPROM into the eraser instead of using an EPROM pack. The bulbs for the old and new style EPROM Erasers are no longer available, but then at these prices - who cares? Board area: 50mm x 50mm 2" x 2"
The following suggestions have been made. I usually leave mine on the window sill for a while (to let the sun do its work). This can take some time in the winter, but get a few high UV days this time of year and you're laughing. What about a tanning lamp, or one of those children's spy pens (writes invisibly until you illuminate with a UV source in the end of the pen - can be bought for �1!). I tried that once and found that the lamp also melted the EPROM case. When I finally got the EPROM out I discovered that the files had not been erased at all. intensity UV source of wavelength 253.7nm. There's a DIY project I keep on meaning to try. It uses a germicidal uv fluorescent tube, which (as you might have guessed) is not something you want to expose yourself to! When the Z88 User Club was running they offered a service to erase EPROM for �5 each. We can offer that service if you want but in the long run it doesn’t help and here is the reason why. Umm – I’ve got a lot of files on my Z88, I should really back them up onto my EPROM just in case the Z88 looses them. I’ve got a 128K EPROM pack; I could put them on there. I don’t really want to fill it up because I haven’t got an EPROM eraser. Oh bother – my Z88 has just crashed – I’ve lost all my files. If you want to use the EPROM packs please invest in the EPROM eraser, otherwise you will not use the EPROM and the benefit you would have will not be realised. The only exception to this is if you are using the EPROM to store Applications, then having an EPROM eraser is not so critical. What is so good about the Z88?